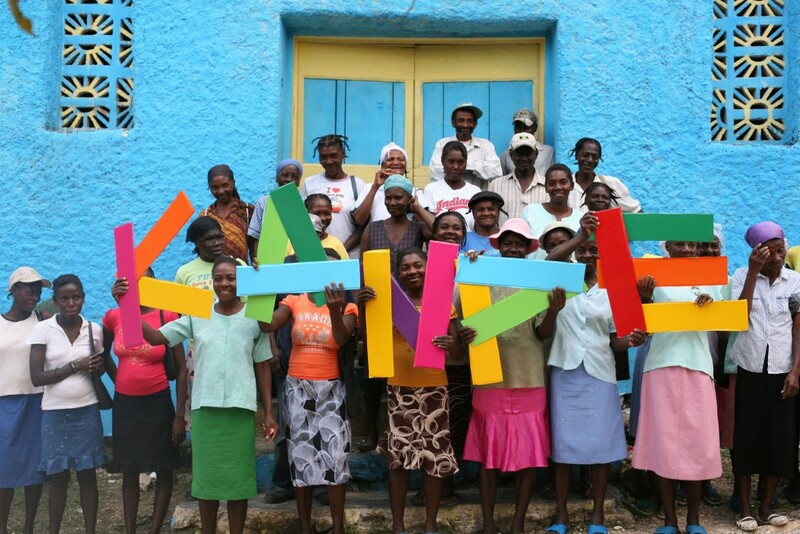 Since its arrival, KANPE and its partners have played an important role in the revitalization of Baille Tourible and its surroundings on many fronts: health and the fight against cholera, nutrition, housing, agriculture, education and leadership. The establishment of and free access to a medical clinic directly serving over 11,000 residents (and around 30 000 in a wider radius). As of December 31, 2018, we recorded more than 54,900 visits since opening in 2011. The support of 550 families toward financial independence through the Integrated Program (support for the creation of micro-enterprises), including 200 by the summer*. The provision of nearly 3,300 farm animals across all families (1252 goats, 1260 hens, 329 pigs, 210 turkeys, 149 ducks and 88 guinea hens). The training on livestock farming and subsistence agriculture. The help with construction or renovation of lodging for each family. The purchase and set up of a corn and millet mill for the village population. The support of 13 schools and the construction of two academic institutions. The rebuilding of a road between the village of Baille Tourible and the town center of Thomonde. 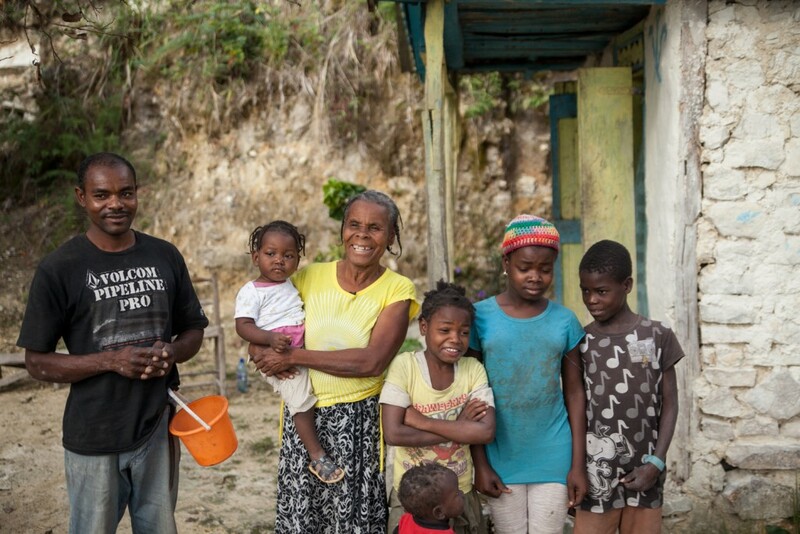 One year after graduation, over 97% of the Baille Tourible families had maintained two sustainable sources of income, enabling them to provide for their family and send their children to school. * In January 2016, KANPE and its field partner, Fonkoze Foundation, with the financial support of a Canadian private Foundation, held an opening ceremony for its new group of 200 families residing in Savanette Cabral. ** These results were collected and analyzed one year following the graduation of the first cohort of the Integrated Programme. This program supports families to reach financial independence at the end of an 18-month period. In the communal section of Baille Tourible, agriculture is the predominant economic activity, employing nearly 98% of the total population. In April 2016, KANPE signed an agreement with the Papaye Peasant Movement (MPP) to support the farming community in Baille Tourible (Baille Tourible Organization, ODB), undermined after three years of drought due to the El Niño phenomenon. This new partnership was launched at the beginning of the 2016 rainy season with the distribution of black bean seeds to 250 farmers. At the end of the season, they were able to recover the equivalent of their initial planting plus a portion for the formation of a “seed bank” that will support farmers in need. It is also a way to increase the financial resources of ODB. capacity-building in planning and management of food safety promotion strategies and the fight against poverty. The medical clinic serves over 11,000 residents. As of December 31, 2018, the Baille Tourible Clinic received more than 54,900 visits since its opening in 2011. The clinic provides free basic healthcare as part of its various services. More than 1,700 cases of cholera treated since 2011. In 2018, for the first time since 2011, no new cases of cholera were reported. More than 1,000 Malaria tests are performed each year. An average of 150 consultations/month have been provided to pregnant women. In 2018, 196 children affected by severe or moderate malnutrition have been cured by Nutrition Services. A weekly visit to the clinic is provided for each malnourished child during the treatment process, sometimes lasting several months. Distribution of a basic water purification system to 550 families. Educational health training is also offered, such as reproductive health, personal hygiene, environmental hygiene, child care and STD∕STI∕HIV education. The transportation of medicine from the Port-au-Prince to the clinic in Baille Tourible. The transportation of severe hill patients from Baille Tourible to the Hospital in Hinche. The transportation of medical staff. Support for 13 schools and the construction of 2 new schools. Education of children participating in the Integrated Program. In 2014, Régine Chassagne set a personal goal to give the youth of the community the necessary instruments to start their own fully equipped Marching Band. It has now a music teacher (Jean-Germain Duvelsaint) and an assistant (Paulnet Paul, who is a teacher in one of the Primary Schools of Baille Tourible) to train 72 young people in playing music. The Marching Band is the pride of the whole community. The band is a transformative project for young people in the municipality of Baille Tourible. Despite modest means, the results to date are impressive. The band is a source of regional pride its effects are felt at many levels: leadership, pride, life plans, incentive to stay, decreasing the rural exodus and more. In 2015, the KANPE implemented training activities for better civic engagement targeted toward the youth community in Baille Tourible. The objective of the program is to educate the members of this community about human rights through issues that directly affect them and across various fields such as the environment, agriculture, health and education. 85 young people have participated in the program. They were encouraged to unite to carry out small projects that promote and cultivate civic engagement, making a difference in their community. During the summer of 2016, KANPE set up a 10-day summer camp for young people of the region. Now, the camp enabled 70 young people from the communal section of Baille Tourible and Thomonde to leave their remote villages and take advantage of resources to which they had no prior access at home. This ten day retreat offered to young people of both genders and from different religions present in the community of Baille Tourible enabled participants to interact with people of different backgrounds. It allowed them to put common life values such as respect, collaboration, inclusion, equality, solidarity and responsibility into practice. This camp also gave these young people the chance to acquire expertise in areas such as craftmaking, cooking, farming techniques, music, dance, first aid, water purification, prevention of infectious diseases, etc. Finally, through mini lectures and discussions, participants were made aware of the larger issues facing their town and country, including deforestation, declining agricultural production, population growth, illiteracy, the exodus of young people, early pregnancy, etc.